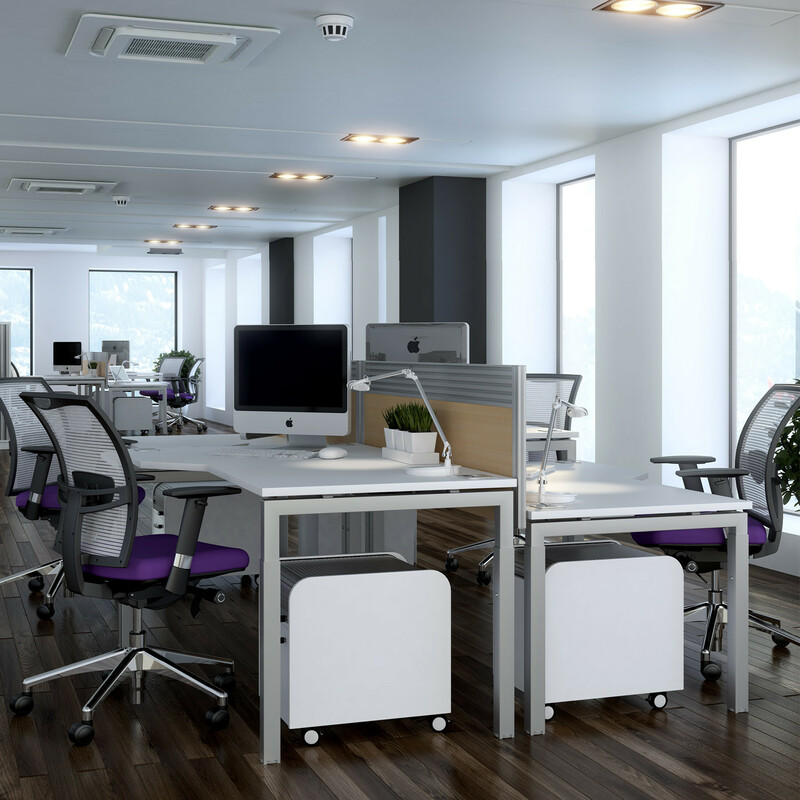 Advance Height Settable Desks are a flexible and functional ergonomic office desking solution for use within the open plan office. 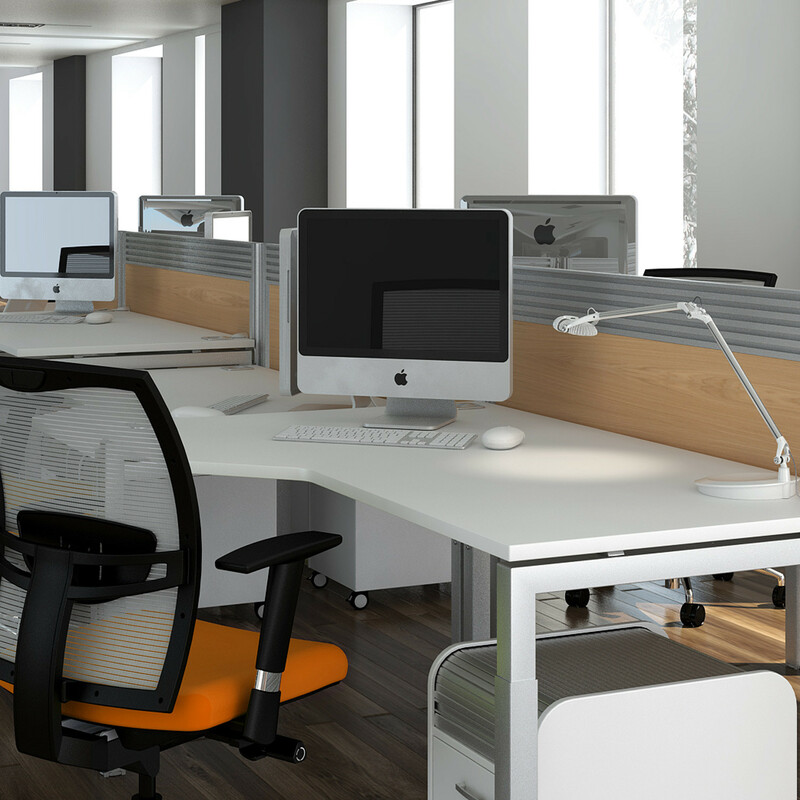 Advance Desks, are height settable as standard via an allen key, with an adjustment range of 685mm - 800mm, meaning that they can be set for each individual's height. 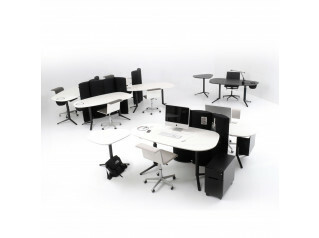 They can be used as single office desks or arranged in groups for teams consisting of multiple users. 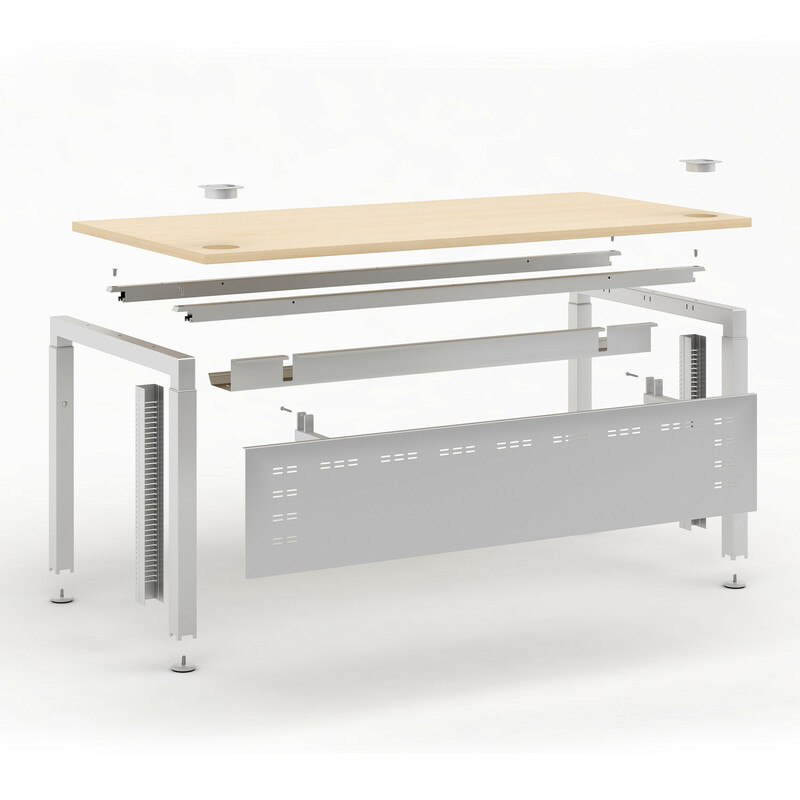 Advance Height Settable Desks can also be fitted with other useful accessories as a modesty panel, cable risers, cable trays, CPU holder, screen monitor arm and a wide range of screens is also available (in fabric, in acrylic or in MFC, with or without management rail). 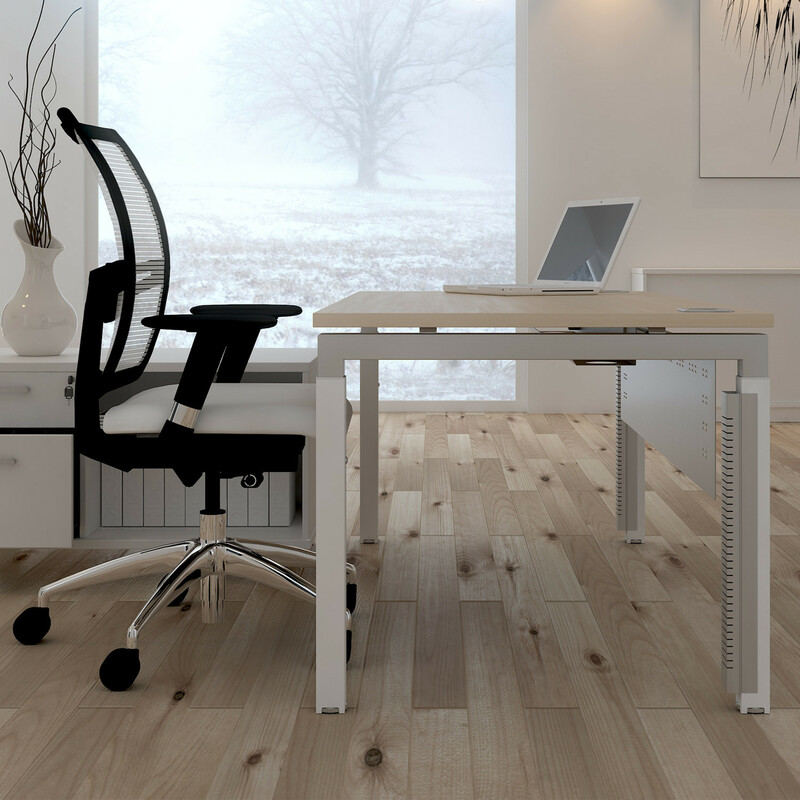 Available in a wide range of formats: rectangular, angular or 120 Degrees. 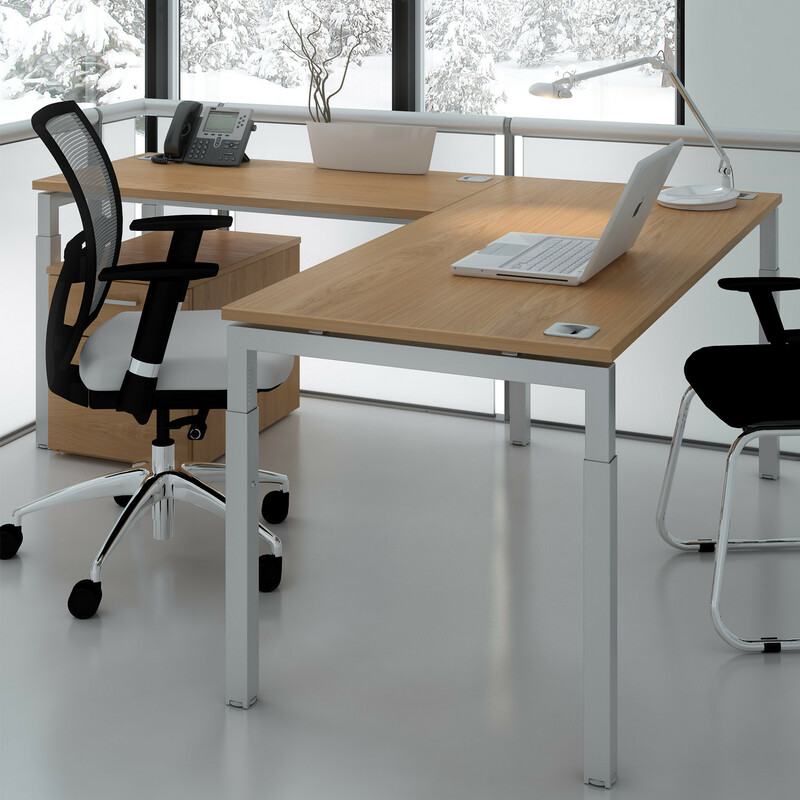 The Advance Angular Workstation is a modern desking solution designed to work alongside the latest technology. 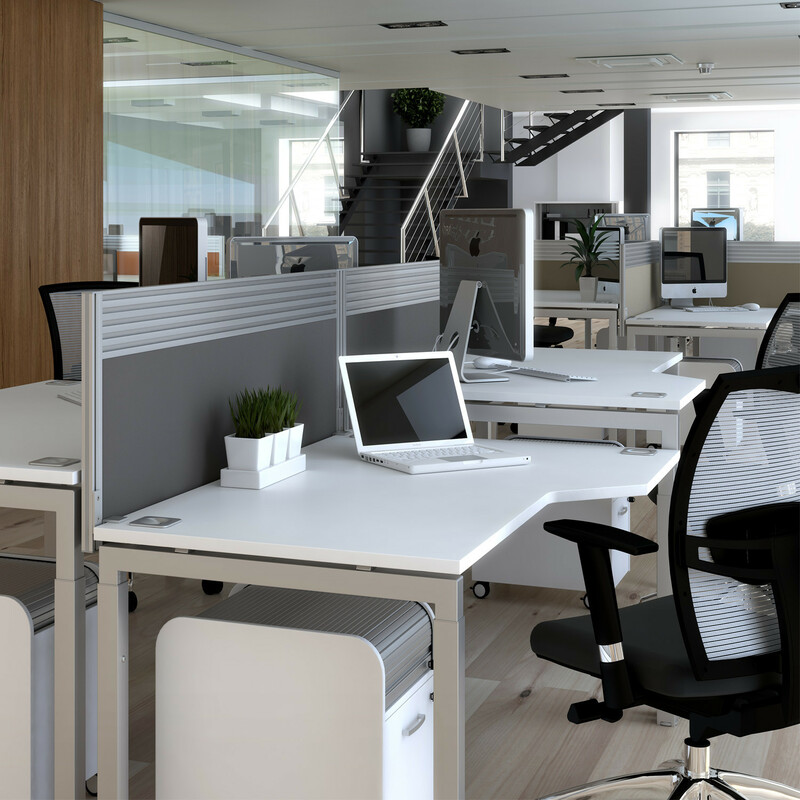 Height settable return units can be added to increase available working space. Steel modesty panels are optional. 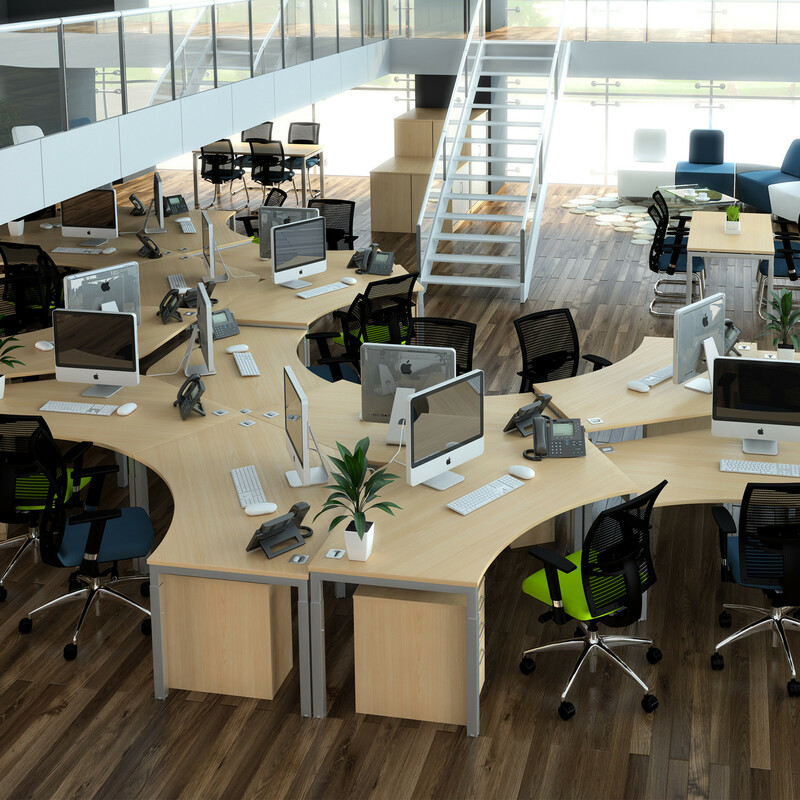 The 120 Degree Workstation is freestanding, enabling each workstation, when configured in a cluster, to be individually height settable, providing total flexibility. 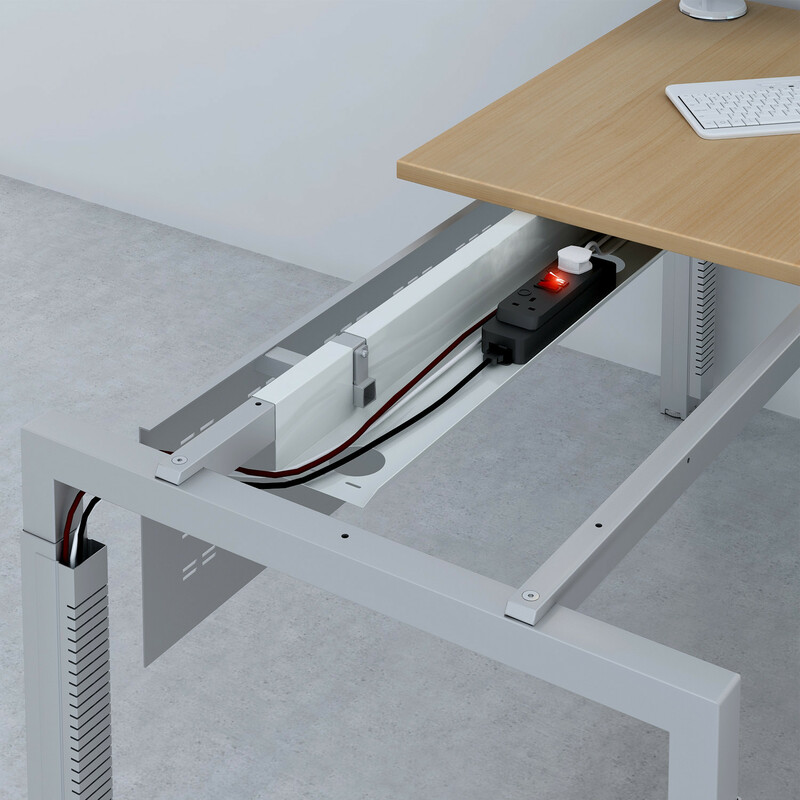 Advance Office Desks can easily be reset to different heights within minutes via simple adjustment of each telescopic leg to the preferred height. 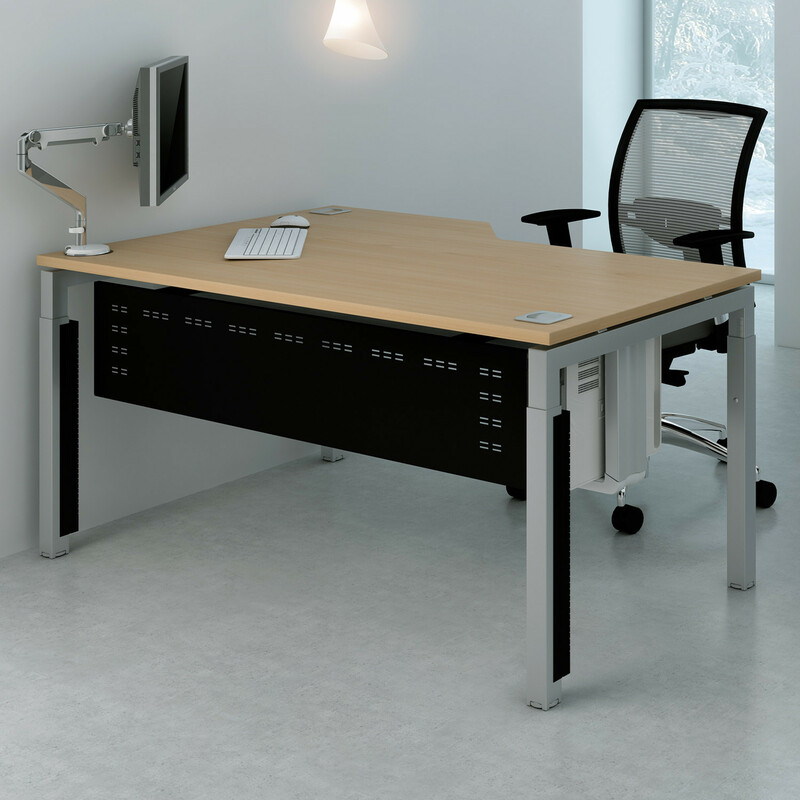 Clear markings on each leg frame denote dimensions to ensure adjustments are simple and accurate. 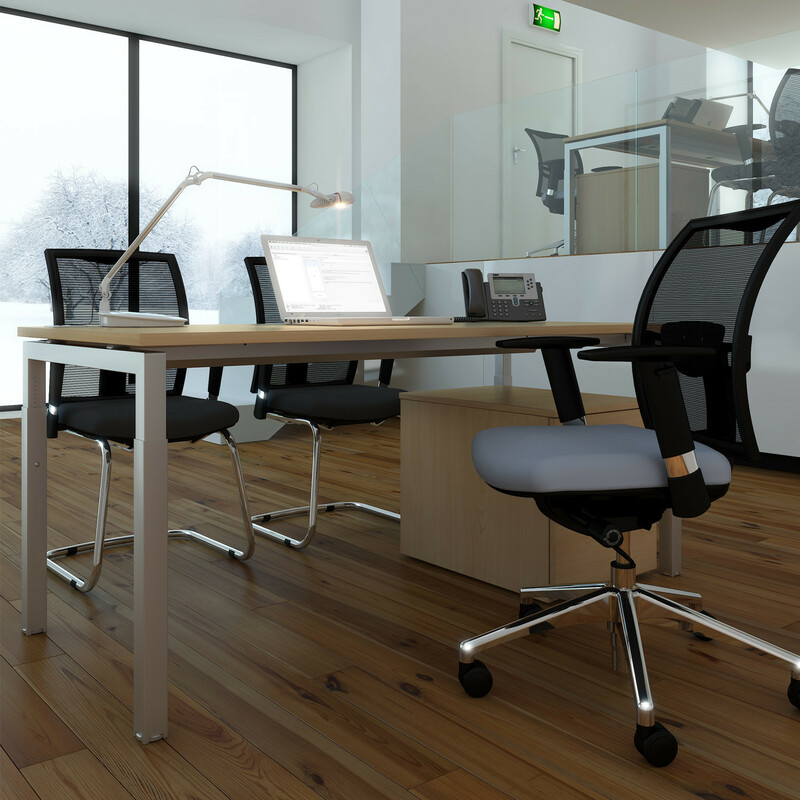 You are requesting a price for the "Advance Height Settable Desks"
To create a new project and add "Advance Height Settable Desks" to it please click the button below. 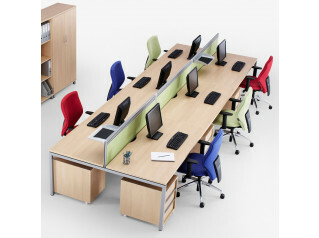 To add "Advance Height Settable Desks" to an existing project please select below.